Take care of a little water horse in this fairytale makeover game! Tidy up its sleeping place at the beach and clean its dirty skin. Afterwards, equip the cute creature with some magical armor and matching accessories. Solve the puzzle to unlock a luxurious sea carriage for the water princess and create a fancy new outfit for her! 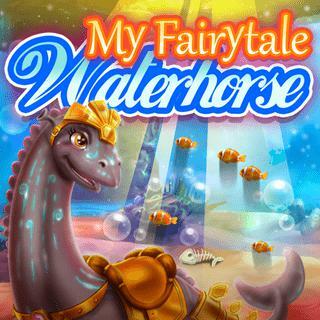 My Fairytale Water Horse - Find My Fairytale Water Horse in our vast HTML5 games catalogue. Only the best and newest HTML5 games for all audiences. Guaranteed success with Famobi.